Along the borders and ASEAN 2015 looms! Looking down on the Maekhong on the border. We’ve just done a big loop of a road trip around the North, much of it along Thailand’s borders. 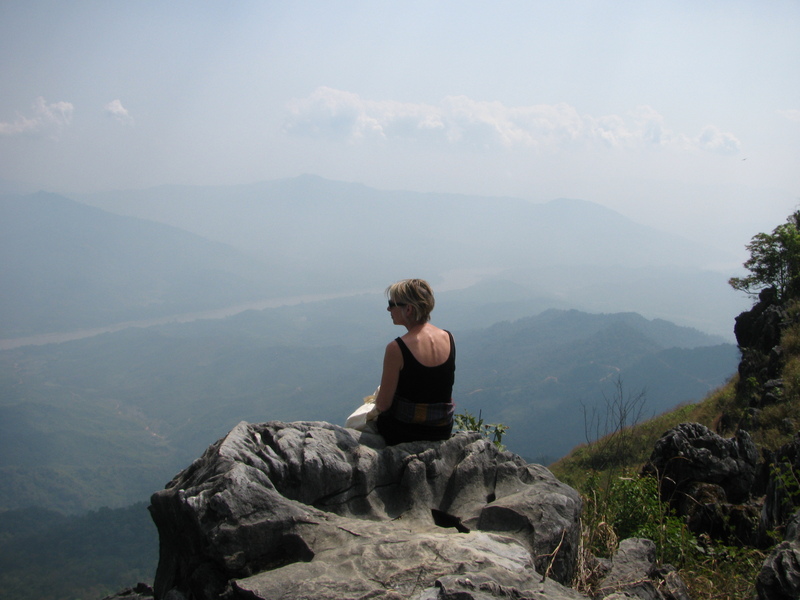 Mai Sai – we started by driving four hours north of Chiang Mai to Mae Sai – much visited by the expat “border run” brigade as for $10 you can renew your visa – just cross the “Friendship Bridge” to Burma and then immediately turn back into Thailand. We come here for another reason; the market here sells jade and its good and cheap. You can also buy lots of other things; Burmese tobacco and cheroots, fruit wines of questionable alcoholic content, sequinned marionettes and “kalaga” hangings, loose tea and tea paraphernalia, pen knives, electronics and all the other weird stuff men buy, and the usual market gear. A VERY BIG Buddha – that’s me at the bottom! The border between Thailand and Burma here is nothing more than a few feet of water which most people could wade across, but border traffic is non-stop over the bridge during opening hours. In the past, we’ve had to cancel trips to Mae Sai because of “border skirmishes” or Drug -War -Lord action but this seems to have quietened down lately and commerce is allowed full reign. Just a few yards from the madness of the market place is a quiet riverside neighbourhood where we stay, popping out after dark for a kebab barbequed over a clay pot. 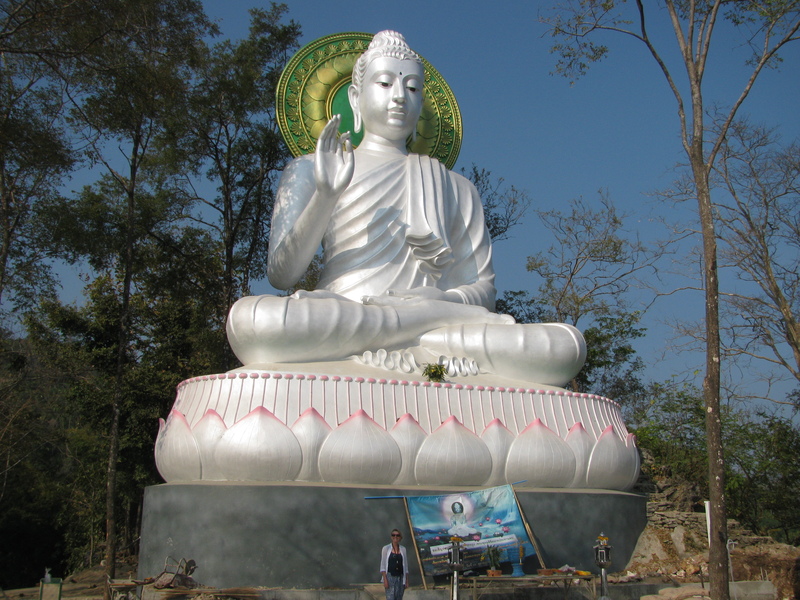 A huge white seated Buddha looms on the hillside into Burma. The Thai borders with both Burma and Laos feature “Holier Than Thou” wars : ever more enormous effigies of the Buddha stare at each other from the hillsides. The Golden Triangle – Heading east, we stop for breakfast at the village of Sop Ruak or “Golden Triangle” as it seems to have taken to calling itself. From the river bank you can gaze at both Burma and Laos at the point where the Mae Khong River arrives in Thailand. To commemorate this fact, you may take a boat ride to land (and do some shopping, of course) in all three countries. 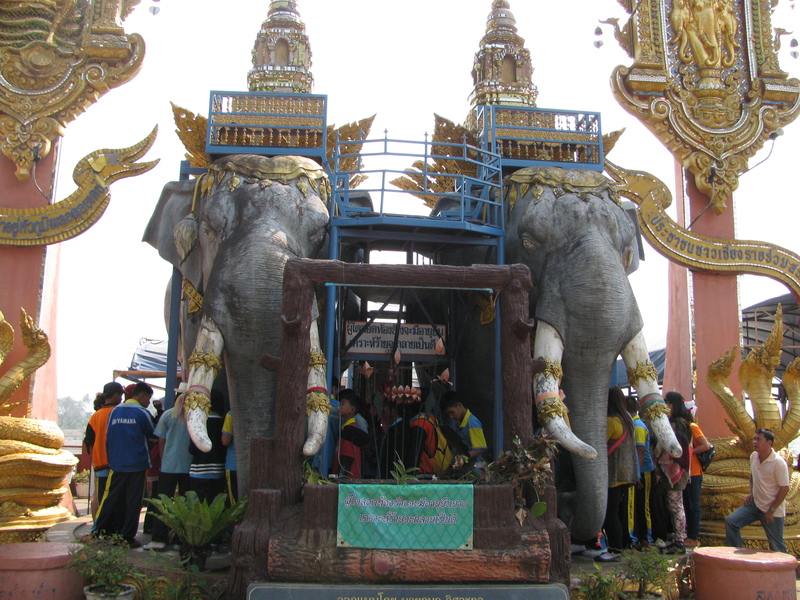 You can also have your photo taken at all kinds of photo opportunity attractions; an enormous golden Buddha, a couple of gigantic plaster elephants, a sign saying “The Golden Triangle” or indeed at the Hall of Opium. Nearby are some benches “Donated by United States Drug Enforcement Administration Royal Thai Police Narcotics Suppression Bureau Sensitive Investigative Unit Bangkok” Catchy title. As Jim grumpily commented, They’ve constructed an entire tourist economy on the old opium trade but just try buying some now! offices on the quayside. So what’s going on? I have seen quite a few “Thai Border Police. 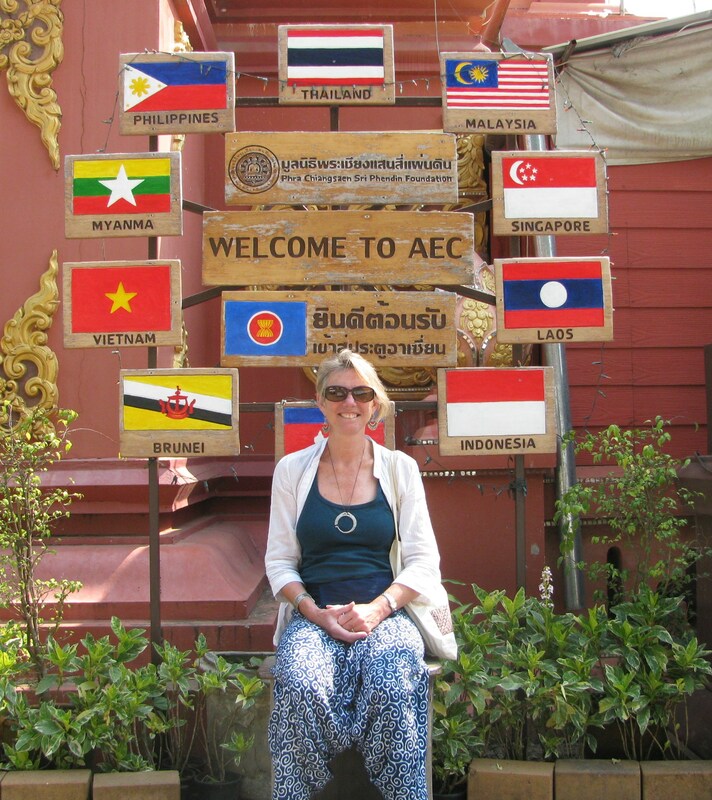 Ready to ASEAN 2015” signs on our travels near the Burmese borders lately and wondered what they meant – now it’s time I found out. ASEAN (the Association of South East Asian Nations) was formed in 1967 and aimed to be a sort of Asian version of the European Union. It’s an economic bloc of 10 member states which is planning to get closer. In 2015 the aim is to allow goods and services to pass freely between each of the countries, for professional and skilled workers (please note) to be able to work anywhere in the union and for tourists from each country to visit without a visa. 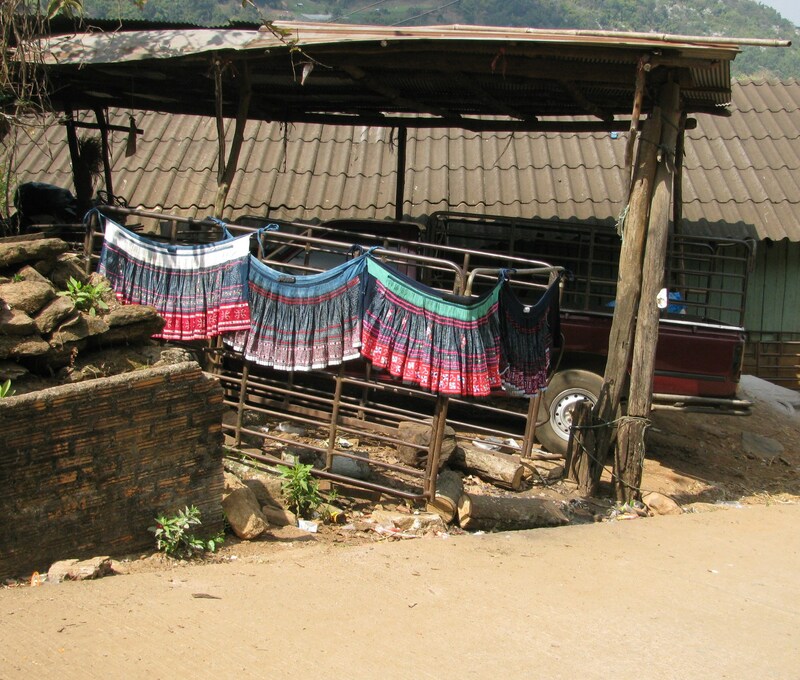 Chiang Khong – Hot, dusty and frazzled, we get to Chiang Khong – a little town strung out along the banks of the Mae Khong and a place where foreigners can cross the river and emigrate into Laos. It has the feel of a border town. 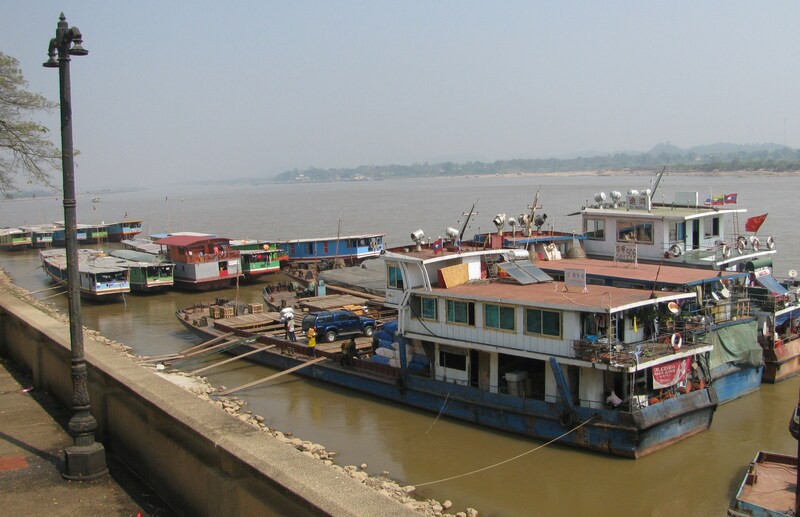 Here too, there is a new border post and a new “Friendship Bridge” to take freight between Thailand and Laos (and ultimately China) A “Chiang Khong New City” of brand new, as yet unlived in offices and apartments is being built and somehow it feels as if China is calling the shots. So what does it all mean? Already there are cars with Chinese number plates in Chiang Mai, Asian tourism is vastly increasing anyway and that will only continue what with the numerous budget airlines like Air Asia (slogan: Now Everyone Can Fly!) and new international highways being built. One thing I am sure of is that life will not be made any easier for the stateless refugees and hill-tribe people of Vietnam, Laos, Thailand, Burma. door. It’s a fascinating region full of people without a country of their own, who are in many ways treated as second class, without the same rights as the “real” nationals. The “hill tribes”seem to be viewed here in the same way many Brits view Romanian or Bulgarian immigrants. It seems to me that ASEAN’s Governments are keen to make money by dissolving boundaries on their own terms, but if everyone had the same freedom to disregard borders and make their home wherever they wish, they wouldn’t be so happy.